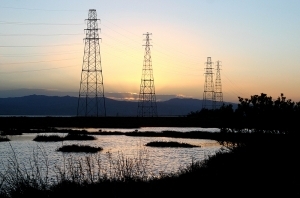 The 1,940-acre preserve is the largest tract of undisturbed marshland remaining in the San Francisco Bay Area. Wintertime high tides bring bird watchers from around the world, and, in the spring and fall, the preserve is a prime stopover for birds traveling on the Pacific route of their migration flyway. Visitors will also find 15 miles of trails and picnic areas. Click here to view a map of the Baylands. Click here to view a Birders Map.